A bidet toilet is a wonderful addition to any home, but not many people know the benefits of using one. 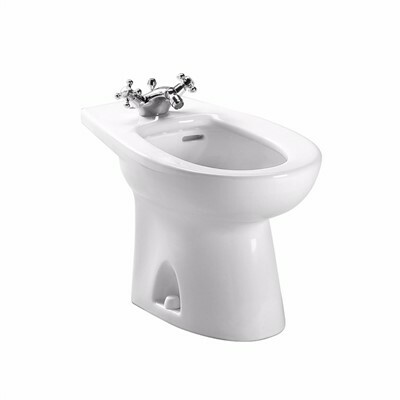 Common in countries such as Europe, a bidet is an appliance that helps you freshen up after using the restroom. Choosing a bidet that fits your preferences can be tricky, but once you decide on the right one such as our PiedmontBidet, Deck Mount, you’ll be thrilled with the results! If this hasn’t convinced you already, here are four of the many benefits of using a bidet to help make your bathroom unique and your life easier! A bidet’s primary purpose is to keep you clean, and when you switch from your normal bathroom routine to this, your health will improve! It’s been proven that using a bidet instead of traditional toilet paper can help your personal hygiene. Not only that, it will also benefit your skin as well! With a bidet, you won’t experience the irritation or discomfort that the traditional routine causes but instead will have an enjoyable and comfortable experience. Bidet’s aren’t just beneficial to you. They also greatly help the environment by eliminating the need for toilet paper. Making and distributing toilet paper is costly and doing so requires a vast amount of trees, energy and water. But if everyone began using bidets instead of buying toilet paper, we would be going a long way towards helping the planet and ourselves! With a bidet, your bathroom routine will run smoothly and quickly. Some people assume that bidets are time-consuming and require a lot of handling, but it’s actually quite the opposite! Bidets are very simple to use and require minimal effort on your part. Even more, they’re also easy to clean and maintain! With our Piedmont Bidet with Vertical Spray, you’ll even get a flushing rim and integral overflow, so water won’t spill and you won’t have to worry about making a mess.